Z Prep! 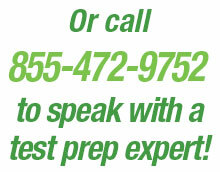 Graduate Test Prep Services - Z Prep! Whether your career path is in business, law, medicine or engineering or you want to study music or art, you may be preparing to apply for a graduate school program. Especially if you’ve been out of school for a while, preparing for a graduate school entrance exam can be stressful. You may feel out of practice and unprepared to tackle academic subjects you haven’t used for a while, like algebra and geometry. This is where a solid test preparation program will help you feel ready for the exam and help optimize your test score so you can get into the program you are dreaming about. Generally, the graduate school entrance exams test skills that will be needed in order for you to be successful in your program of study, testing verbal, quantitative and writing skills, as well as science on those exams for science-based programs. Our focus is on providing instruction and directed study to prepare the student for success in each section of the exam. In addition, we identify and target the student’s weak areas, providing extra support in the form of one-on-one instruction and practice exercises to help the student raise their score in that area. Tutoring includes a practice exam and diagnostic, an individualized study plan and instructional time, as well as individualized homework assignments, including practice test questions. A full practice exam is given at the end of the program. Graduate exam tutoring packages can be customized to meet the level of preparation required by the student’s needs. And they are structured to accommodate busy work, home and school schedules. Instruction can be done at home, online or at a tutoring center, and is generally one-on-one, although small group instruction is available in some locations. 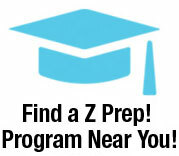 For more information on our graduate entrance exam tutoring programs, contact a Z Prep! tutoring counselor today.